A social entrepreneur is someone who tries to solve a problem that impacts society through entrepreneurial innovation. We often think of social entrepreneurs as those who work in the non-profit sector, though there are many for-profit social entrepreneurs as well. 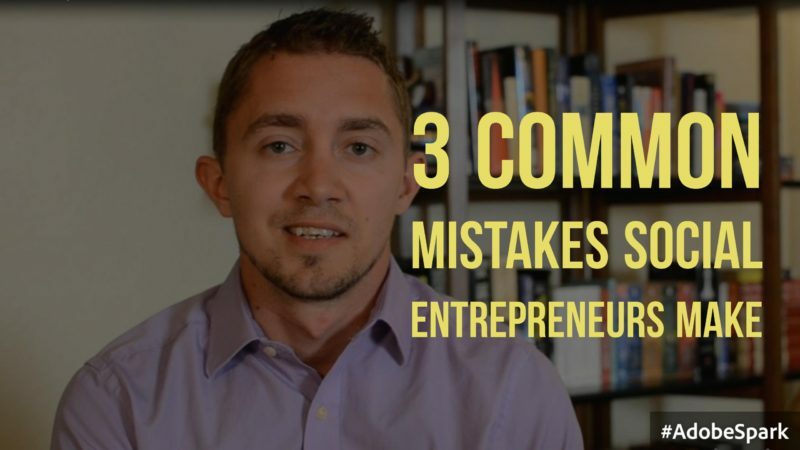 I’ve had the chance to work with non-profits in the Reno area, and I found that there were 3 fairly common mistakes social entrepreneurs made that hindered them in achieving their missions. One of the biggest problems social entrepreneurs face is that they become engulfed by their cause. As a result, they often have a “non-profit” mentality, thinking that their good intentions will carry them through. A non-profit is a business just like anything else, and should be treated as if it was a for-profit. Sticking to sound business principles that any good for-profit would do – things like closely managing financials, tracking business metrics/outputs, and significant investment in marketing – a non-profit is going to be much more stable and have more success in fulfilling its mission. This is often the downfall of many for-profit businesses, and the same applies to non-profits. Social entrepreneurs seem to commonly have the misconception that because they’re a providing a valuable service to society, often free of charge, that people will naturally seek them out. This is not the case. A non-profit must market and brand itself like any other business, no matter how good of a societal impact it is has. If people don’t know what you have to offer, even if it could benefit them, they will never come to you. Non-profits have a huge benefit in that many businesses, including TV and radio stations, are willing to help them spread the word about their cause. This is DEFINITELY something social entrepreneurs should pursue. There are three main types of funding for non-profits: individual donations, large donations from foundations, and grants. Foundations and grants typically have specific stipulations that a non-profit must meet in order to receive funding, and sometimes this can result in veering away from the mission in order to meet those requirements. It’s important for social entrepreneurs to understand the importance of sticking to their mission, even if it means passing up a grant. By doing so, they will execute much better, which will ultimately translate into better metrics and thus a better chance to get funded by grants and foundations.